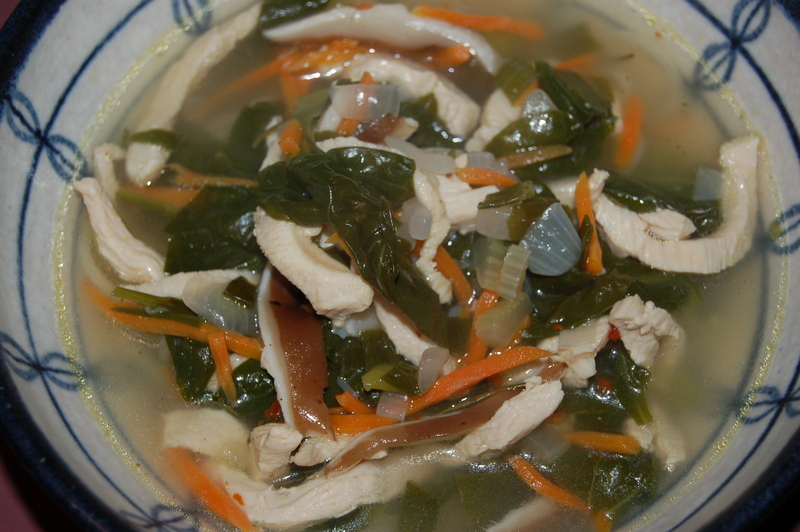 An A+ Soup with Chinese Noodles (chicken, spinach, lime) – Serves 8 | Crappy Kitchen - Good Dinners! I got home at 7pm last night and we were eating this soup in 45 minutes (granted I worked in the kitchen like a speed demon!). This was another case of knowing I would be home late but not wanted to waste money ordering out (not to mention the food wouldn’t be as good and all of that paper and plastic waste from containers, utensils and napkins!). This is an amazing meal and satisfies all kinds of hunger, from the person who wants lots of food to the person who has a longing for something restorative and healing (like my daughter who was getting over a tummy bug). A few ingredients made this dish stand out for me: lime juice, thin vegetable-laden broth and the addition of fresh Chinese-Style noodles (below). 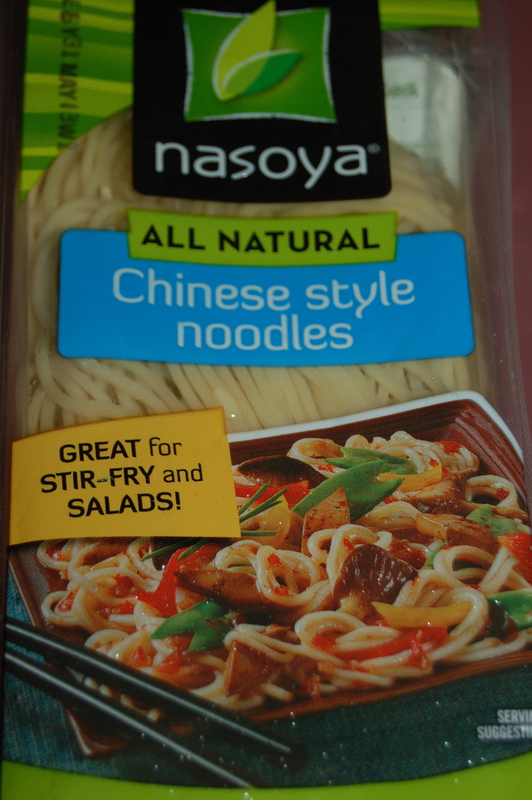 I try my best to keep fresh wonton skins, egg-roll wrappers or these noodles in my fridge. They can be found in the cold fridge in the veggie section of most supermarkets. 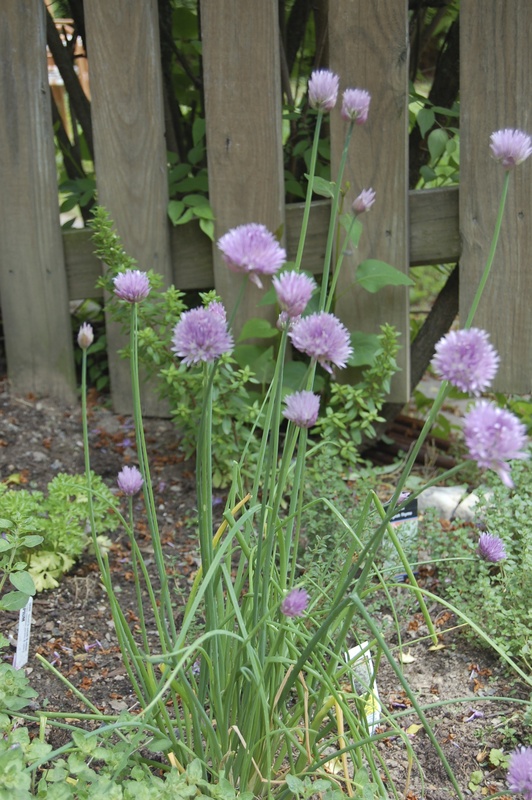 They are fresh, floury, light, and delicious for all kinds of dishes. They have an expiration date so I always grab a packet from the back with the longest expiry date. Last night they were the perfect thing to bolster the thin broth. If you decide to make this, and have some leftover, keep the noodles in a container separate from the soup and add to the reheated soup cold, (the residual heat will warm them up nicely). At least that is what my plan is for lunch today! 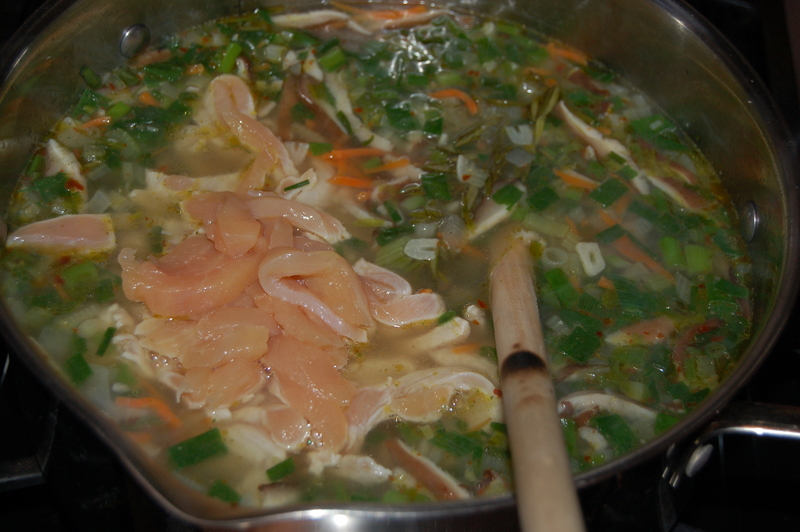 1 – Put large soup pot on medium heat and add the oil. when it has warmed, add the onions, garlic and celery and cook for 5 minutes, stirring occasionally. Add the pepper flakes. 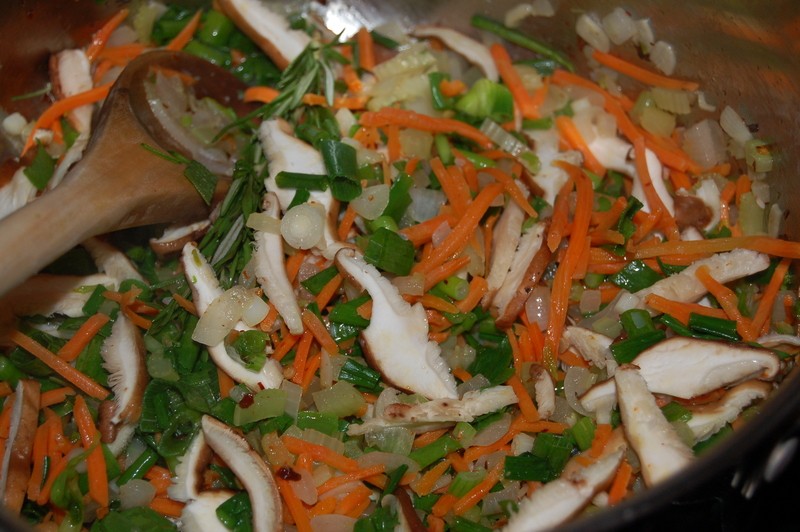 2 – Add the carrots and rosemary and continue to cook for another 3 minutes. 3 – Next add the sliced mushrooms and scallions and continue to cook for another 3 or so minutes. 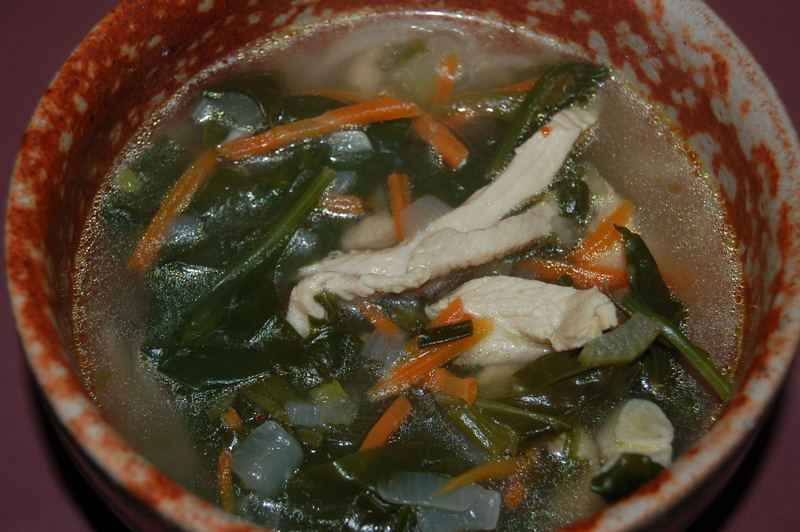 4 – Add the broth (or water and bouillon cube) and turn heat to high. When the liquid comes to a boil, add the chicken and stir. 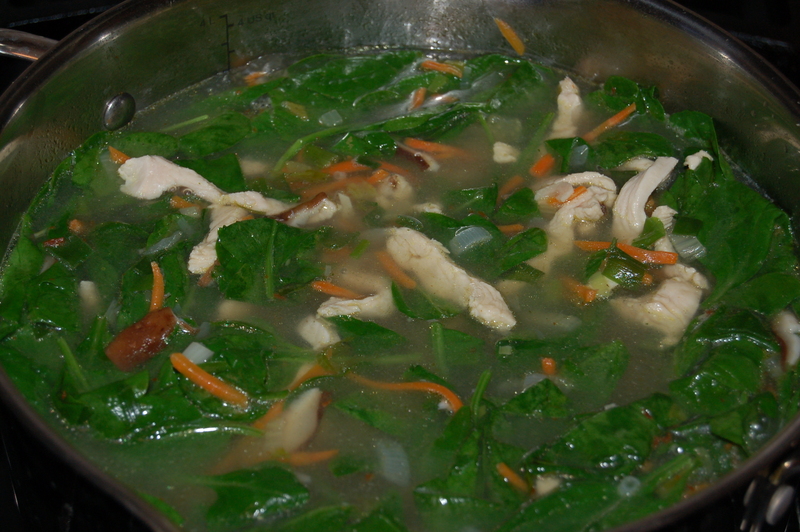 5 – Add the spinach leaves (or chopped spinach) and bring back to a boil. When it begins to boil, turn the heat down and bring soup to a slight simmer. Cover with lid and simmer for about 12 minutes. Turn heat off and add the lime juice. Taste for addition of salt or pepper. Stir and replace lid. Let the soup sit for about 10 minutes before serving. 6 – While the soup is sitting put a big pot of water on to boil (boils faster with a lid!) 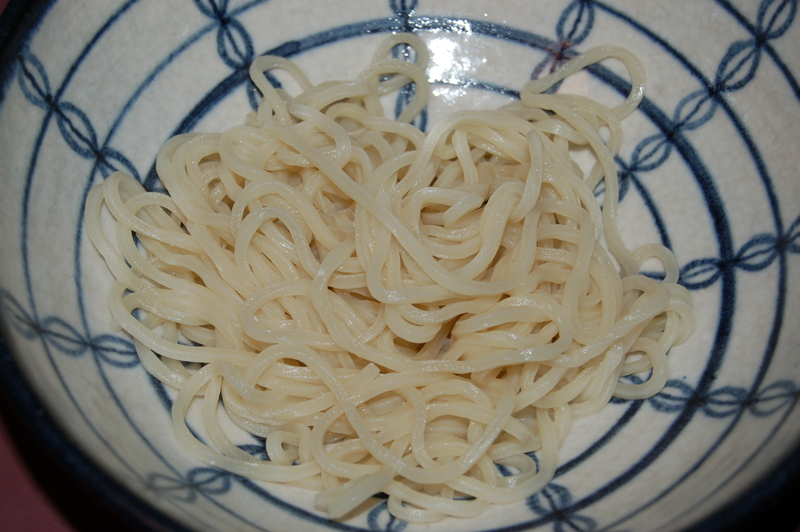 and when it is boiling cook fresh noodles according to instructions. Drain and rinse well with cold water and set aside. To serve, place a portion of noodles in the bottom of a soup bowl (as much or as little as you like) and ladle the soup over them. 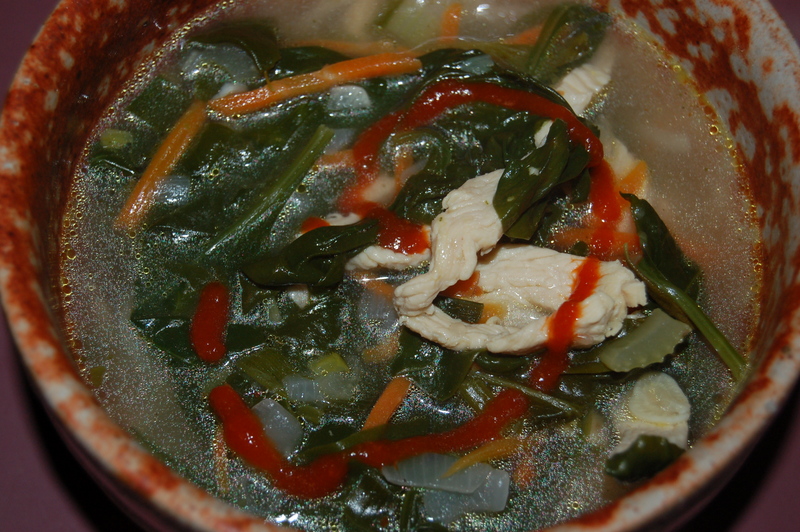 Some of us add a swirl of sriracha sauce to the soup which gave it an additional bite of heat. This entry was posted in "Blood Type A " Recipes, dinners and tagged blood type A recipe, blood type A soup, brothy soup, carrots, chicken breast, chicken soup, easy dinner, fresh spinach, lime in soup, limey soup, quick soup, restorative food, shiitake mushrooms, soul food, soup, sriracha. Bookmark the permalink.